Passage du Gois back for 2011 Tour de France. Bring the Speedo suit. 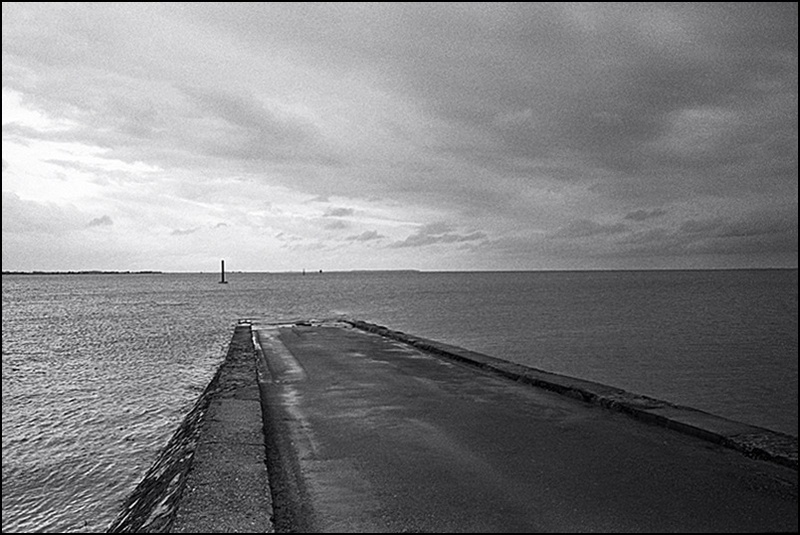 The Passage du Gois. Pedal fast boys -- the tide is rising. News that the Passage du Gois will be on the route of the 2011 Tour de France reminded us that it’s not much of a passage. Various accounts describe it as wet and slippery and dangerous and even seaweed-covered. You could call it the Passage du Gall, as in who would dare pull this kind of stunt? Imagine crashing out of the tour on the passage because your tire slid on a beached sardine or pelobate cultipede — the local species of toad. Sacre blue, mes amis. This place is for sailing and not cycling. A balise. Climb up fast. It’s also proof that the Gallic sense of humor does exist. The term passage would be generous and a part-time lie — twice a day the 4.5km cobblestone paved sandbank causeway, which connects the Noirtmoutier island to mainland France, is under water thanks to the Atlantic tides. The tall post you see in the distance is called a “balise.” There are a good number and they serve as a self-rescue option — if you’re trapped by the fast rising tide, you climb up and wait a few hours for the waters to recede. The passage is better suited to snorkel gear than a titanium race bike. Armstrong started as a triathlete so the man can handle a potential swim portion of the Tour de France — if he’s still unretired. But what about Schleck and Contador? How will they deal with swimming their way to Paris? There’s been much talk about practicing for the cobblestone sections that open the 2010 tour. The year after promises a new menace –beware the water park excursion. Twisted Spoke says, bring the speedo. 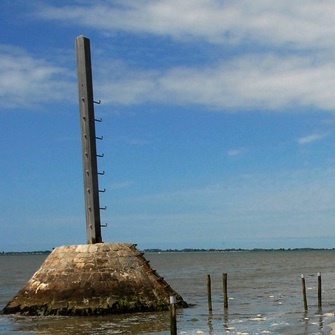 And stay on top of this passage du gois deal — it even has a facebook page. « Floyd Landis has his anger back! First the Bahamas, then the world!